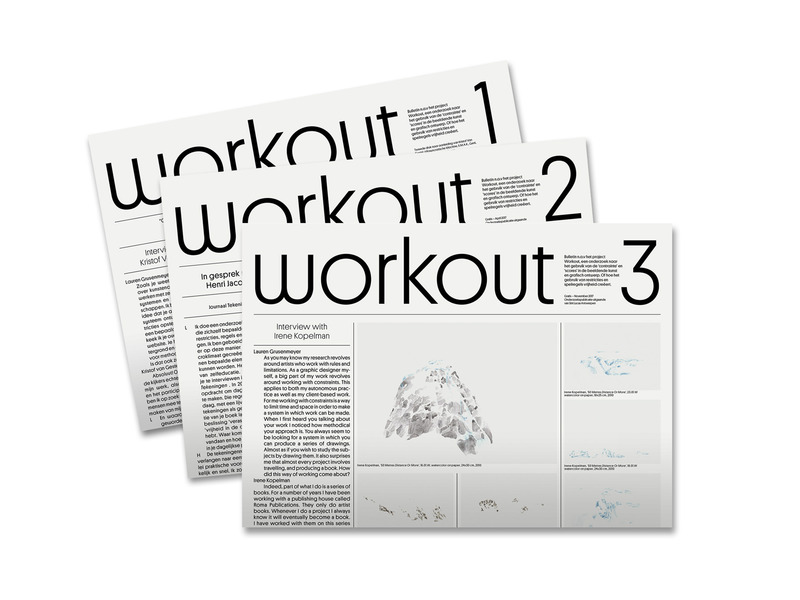 Newspaper design and editing for Workout, a research project at Sint Lucas Antwerpen. 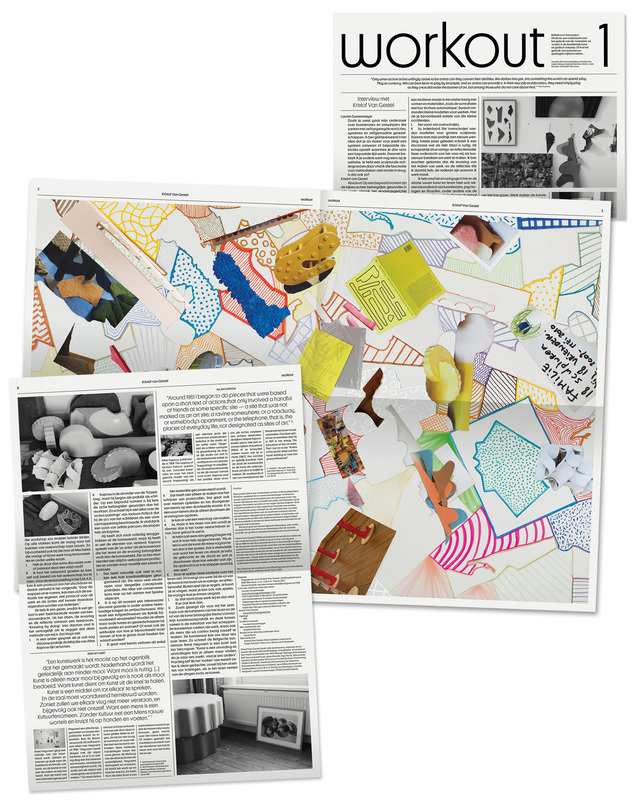 Through a series of interviews with artists such as Kristof van Gestel, Irene Kopelman and Henri Jacobs. Workout wishes to examine how artists and designers delimit their free terrain by imposing a series of limitations and rules on themselves. Thus, the makers become their own instructors by limiting themselves in time, use of materials or ways of working. This method proclaims itself as self-education, whereby the repetitive nature of the method allows to investigate a particular subject. In the context of this research, a series of artists will be invited to discuss their practice in relation these methods and test these out with students in a series of workshops.